A failing secondary school under threat of closure has been given a reprieve. Chiltern Edge School in Sonning Common, Oxfordshire, was placed in special measures after Ofsted rated it "inadequate". Oxfordshire County Council could have recommended the school for closure following a consultation. But cabinet member for education, Hillary Hibbert-Biles, said the authority believed the school "can be turned around". 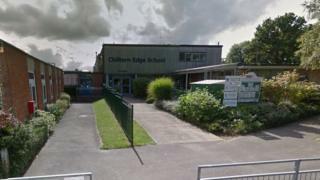 Chiltern Edge School, which teaches about 500 pupils aged between 11 and 16-years-old, was rated inadequate in March. A report by inspectors said standards of reading were "too low" and pupil behaviour required improvement. Ms Hibbert-Biles said she had "great confidence" in the new head teacher, Moira Green. "It is right that more time should now be given for the school to turn itself around," she added. In October, an external review will examine the amount of progress made and councillors will consider a report the following month. Parent Gemma Levy described the council's decision as "amazing" news and said she supported the new head teacher. The move was also welcomed by Henley MP, John Howell, who said parents and pupils would be relieved. He added it "bought time" for a deal to be agreed to turn the school into an academy. The council has confirmed it is in early discussions with the Maiden Erleigh Trust, a multi-academy trust in Wokingham, about such a move.